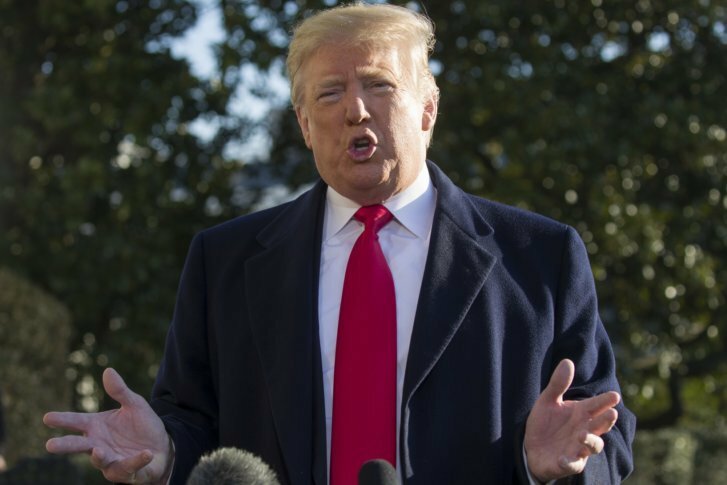 President Donald Trump held out little hope Sunday that another round of talks between top aides and congressional staff would produce meaningful progress toward ending the partial government shutdown. "I don't expect to have anything happen at that meeting," said Trump about the talks led by Pence on the impasse over money for a U.S.-Mexico border wall. "But I think we're going to have some very serious talks come Monday, Tuesday, Wednesday." Trump, who spent part of the day at Camp David for staff meetings, showed no signs of budging on his demand of more than $5 billion for a wall along the U.S.-Mexico border. White House officials affirmed that request in a letter to Capitol Hill after a meeting with senior congressional aides led by Vice President Mike Pence at the White House complex yielded little progress. The White House said the letter, as well as details provided during the meeting, sought to answer Democrats’ questions about the funding request. Democrats, though, said the administration failed in both the meeting and the letter to provide a full budget of how it would spend the billions requested on the wall, money the president wants from Congress. Associated Press writers Julie Walker in New York, Jill Colvin in Washington and Elliot Spagat in San Diego contributed to this report.